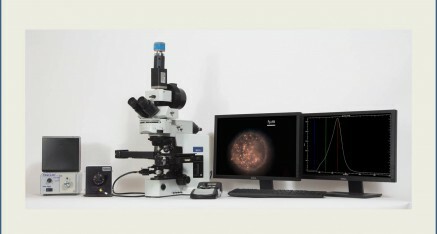 Nikon now has a confocal imaging solution to suit virtually every research need. From the advanced A1R+ to the modular and flexible C2+ unit, Nikon can configure a confocal system that's ready to take on virtually any advanced research application. Since 1997, Nanonics Imaging Ltd has been at the forefront of designing and innovating advanced SPM solutions with optical integration. 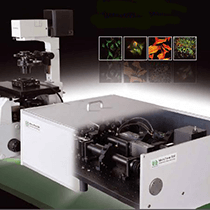 Among these nanoscale characterization tools are advanced near-field optics (NSOM), AFM-Raman-TERS, MultiProbe SPM and Low Temperature SPM systems. Nanonics continues to pioneer new capabilities in many fields including chemical nano-writing, BioAFM and AFM-SEM integrations. Some of the best Hyperspectral imaging system created today are used to conduct a thorough quantitative spectral study of nanoscale materials. On close scrutiny, you shall observe that hyperspectral pictures look akin to a conventional optical image. However, there remains one key differentiating factor. Should you examine the image with a software, you notice that every distinct pixel offers an entire spectral response of its own spatial area inside of the spectral range. In fact, ever since the invention of hyperspectral imaging, it has been regarded as a technique that has shown the most potential. This is primarily due to the fact that it combines the advantages of imaging with the best of spectroscopy practices! The CytoViva Hyperspectral Imaging System evolved from technology originally developed for aerial based imaging applications within Department of Defense and NASA. CytoViva has adapted this technology to operate as a proprietary, integrated system with its patented microscopy technology, enabling spectral quantification of materials and live biologicals at the nanoscale.